The team of Elevation 2477’ is deeply grateful for the opportunity given to us last week, when the Nevada City Council selected our project to run its first medical cannabis dispensary. The mayor and council members had an extremely difficult job. All three applicants presented formidable proposals. We are pleased that our dispensary will provide patients with knowledgeable service and educational programs that can help them achieve their chosen path to wellness. We are excited to create a community-centric facility that embodies the values of Nevada City, including hands-on community involvement and support for local organizations. 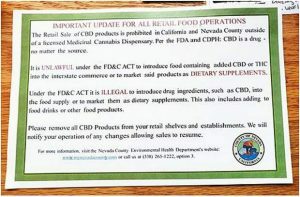 Nevada City officials effectively pioneered a path forward for local cannabis businesses to enter the regulated marketplace — businesses that could create jobs, pay local taxes and create community engagement programs for local organizations. As the first licensed medical cannabis business in the city, we feel a deep sense of responsibility to prove the city right in its desire to see a model dispensary. Our team believes the most important winner in all of this is the patient. Our hope is that moving forward, we can all work together for the patients in this county who deserve superior care. We encourage everyone who supported any of the applicants to continue to show up in support of a fully integrated cannabis industry in Nevada County — one that upholds the values of organic agriculture, sustainability and a deep sense of responsibility for how we treat our environment. 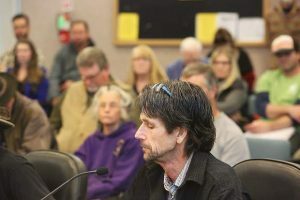 It has been a pleasure to have been involved during the ordinance-writing process to create a safe and strategic plan for the future of cannabis in Nevada City and the county. Our team embodies the spirit and values that the city set forth for its first medical cannabis dispensary. This is an historic moment for Nevada City and Nevada County. City officials were brave and innovative and trusted us to establish a winning business model in a highly regulated and highly volatile industry. We are proud of the dispensary we are offering the community. Collectively, we can craft a vision for what is possible for our county. And we remain grateful for the opportunity to help bring that vision to life. Daniel Batchelor, Christina Rosmarin, and Jonathan Hogander are members of the Elevation 2477’ team.